Variable Qualifiers are used to further modify or describe a specific variable within an observation and are only meaningful in the context of the variable they qualify. 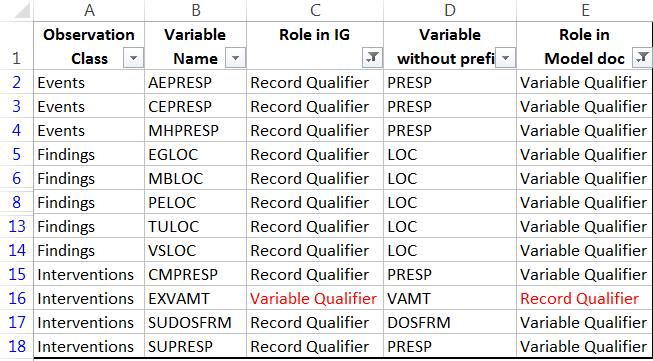 Examples include –ORRESU, –ORNRHI, and –ORNRLO, all of which are Variable Qualifiers of –ORRES; and –DOSU, which is a Variable Qualifier of –DOSE. It is unavoidable for such systemic confusion among record qualifier and variable qualifier. A variable is a variable, and I don’t think it’s even possible to capture such subtle differences.